You want to talk about an All-Star lineup? 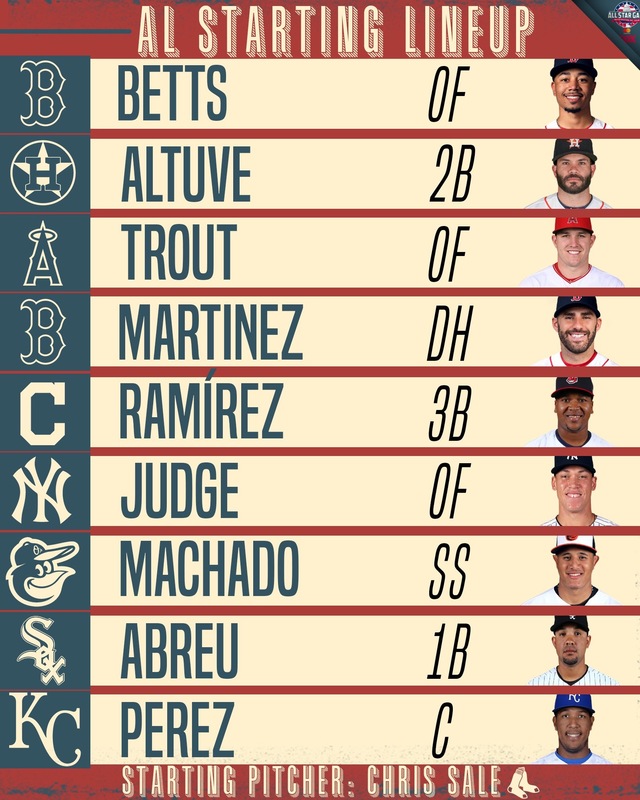 When you look at the American League lineup it gives new meaning to the name “dream team”. 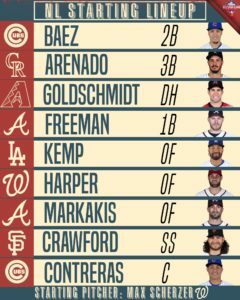 The National league roster is pretty nice looking as well. 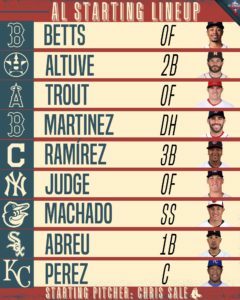 However when you look at the AL lineup side by side against the NL lineup, the AL should run away with this game. 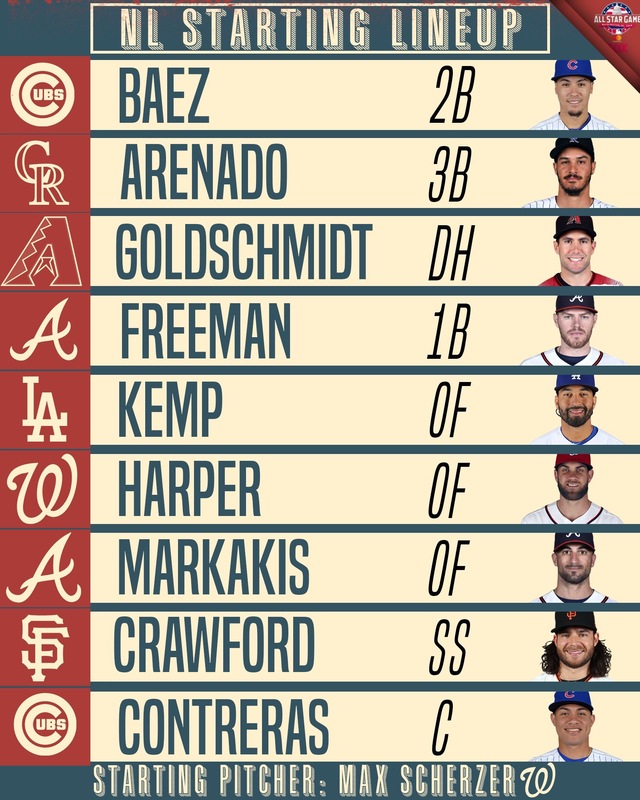 Below are the starting lineups for the AL and NL teams for tonight’s MLB All-Star game! This is the third straight All-Star Game start for Chris Sale. This hasn’t happened for anyone else since the 1950’s when Lefty Gomez and Robin Roberts were the other two to do this. Scherzer vs. Sale was the starting pitching matchup last year, too. This is the first repeat matchup since the 1939 and 1940 Games with Red Ruffing and Paul Derringer!